Joel Slemrod is the Paul W. McCracken Collegiate Professor of Business Economics and Public Policy at the Stephen M. Ross School of Business at the University of Michigan, and Professor of Economics in the Department of Economics. He also serves as Director of the Office of Tax Policy Research, an interdisciplinary research center housed at the Ross School of Business. Professor Slemrod received the B.A. degree from Princeton University in 1973 and the Ph.D. in economics from Harvard University in 1980. Professor Slemrod has been a consultant to the U.S. Department of the Treasury, the Canadian Department of Finance, the New Zealand Department of Treasury, the South Africa Ministry of Finance, the World Bank, and the OECD. From 1992 to 1998 Professor Slemrod was editor of the National Tax Journal. He is the co-author with Leonard E. Burman of Taxes in America: What Everyone Needs to Know, published in 2012, co-author with Jon Bakija of Taxing Ourselves: A Citizen’s Guide to the Debate over Taxes, the 5th edition of which was published in 2017, and Tax Systems, co-authored with Christian Gillitzer. In 2012 he received from the National Tax Association its most prestigious award, the Daniel M. Holland Medal for distinguished lifetime contributions to the study and practice of public finance. OTPR is proud to announce that the winners of the Atkinson Award for the best paper published in the Journal of Public Economics in the past 3 years was given to Joel Slemrod and Jim Sallee for their paper titled "Car Notches: Strategic Automaker Responses to Fuel Economy Policy." The OTPR highlight of the 71st Annual Congress of the International Institute of Public Finance (IIPF) held in August, 2016, at Trinity College in Dublin, Ireland, was when Professor Joel Slemrod assumed the presidency of this prestigious group for a 3-year term. The IIPF, founded in 1937, is the world's pre-eminent academic institution for the study and research of public policy topics with a membership of about 800 academics and policy officials from more than 50 countries. 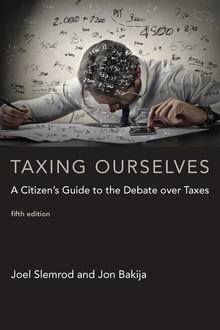 Professor Joel Slemrod and Professor Jon Bakija have completed the 5th edition of their book titled Taxing Ourselves, and it is now available for course adoption. In October 2008 Professor Slemrod delivered the Zeuthen Lectures at the University of Copenhagen. This series of lectures has been given since 1996 in honor of the renowned Danish Professor in Economics, Frederik Zeuthen, who was on the faculty at the University of Copenhagen from 1930 to 1958. As part of the lecture series, Slemrod gave a public lecture on the topic of tax systems. Zeuthen Lecturers receive the opportunity to publish with the MIT Press a monograph based on the public lecture’s theme. 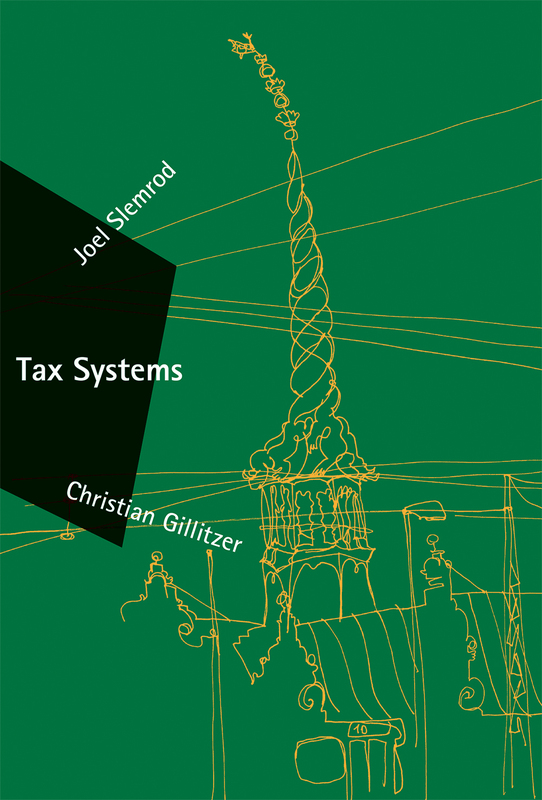 Slemrod enlisted the collaboration of an outstanding economics PhD student at the University of Michigan, Christian Gillitzer, who had excelled in the graduate class on taxation on which this book is loosely based. The two of us worked together closely to expand the lectures into this book. In 2008, the CESifo Group and the International Institute of Public Finance (IIPF) established the Richard Musgrave Visiting Professorship to honor the memory of one of Public Finance's greatest scholars. This annual prize honors an outstanding scholar in the area of Public Finance. With this award the prize winner is also names a Distinguished CESifo Fellow. The award winner is chosen through a formal selection process by the President and Vice Presidents of IIPF together with the President of the CESifo Group. The 2013 award winner is Professor Joel Slemrod. Professor Slemrod has made vast contributions to research on all aspects of taxation and tax policy. Based on his expertise, Professor Slemrod has also served as a consultant to the U.S. Department of the Treasury, the Canadian Department of Finance, the New Zealand Department of Treasury, the South African Ministry of Finance, the World Bank, and the OECD. On April 11, 2013, as part of his visiting professorship, hedeliver the fifth Richard Musgrave Lecture on the topic of "Insights from a Tax-Systems Perspective." The March, 2012 Journal of Economic Literature article, "The Elasticity of Taxable Income with Respect to Marginal Tax Rates: A Critical Review, written by Emmanuel Saez, Joel Slemrod, and Seth H. Giertz was recently cited in the 2013 Economic Report of the President. Chapter 3 highlights federal income tax reform and cites page 4 of the JEL article to support how "High tax rates, combined with a complex tax system and a narrow base...provide incentives for taxpayers to...alter behavior in...ways to reduce tax liability." For more information, see Slemrod's latest book (co-authored with Leonard E. Burman) titled Taxes in America: What Everyone Needs to Know published by Oxford University Press. In 2014, Joel Slemrod and co-author Leonard E. Burman recently published Taxes in America: What Everyone Needs to Know by Oxford University Press. This book offers a clear, concise explanation of how our tax system works, how it affects people and businesses and how it might be improved. Since federal policymakers often flirt with the idea of comprehensive tax reform, and this year is not exception, this publication is for anyone who wants to be more than a passive bystander in the upcoming debate about tax reform.